As Survival of the fittest is the basic mantra. So,come and show up the true roadies spirit. Cross Road Teams are allowed. 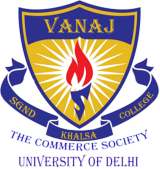 Solve the jigsaw of the vanaj logo and submit it too the co-ordinator.